I’ll probably do this from time to time… mostly because it amuses me. And that’s really all that matters in this world. An “Uncle Sam wants you” joke? A “pull my finger” joke? “Does this look infected to you?” I’ve got nothing. Looks like Freeza has been playing Phoenix Wright games a little too long. 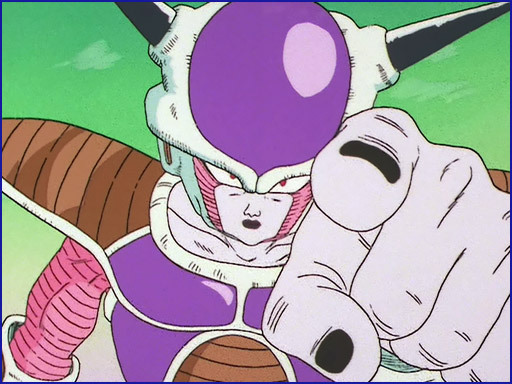 Freeza wants you for his tyrannical army! You have something in your eye, lemme get it out for you. Goku: That didn’t work in the dub and it’s not gonna work here.